I kinda obsess about my coffee. After all, I do live in the Pacific Northwest...the home of Starbucks...Seattle's Best Coffee...the home of the coffee culture. I really do appreciate a good cup of coffee. While I know that there are other places that serve a good cup of coffee, the reason why I love Starbucks is because even when I travel I can get a consistently good cup of coffee as long as I can find a Starbucks. And when I do, it's as if wherever I am is home. 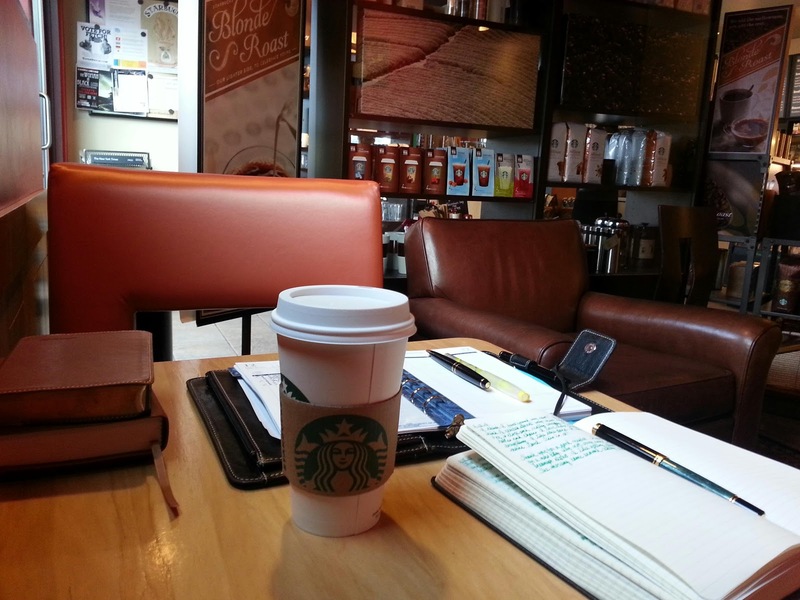 Every morning, I drop off the kids at school and then I head over to Starbucks with my Bible and journal. I love my Starbucks, Bible, journal time. It's one of my favorite parts of everyday. But that goodness has been interrupted lately because they closed my favorite Starbucks. I've been trying out different ones but haven't quite felt at home...until today. I think I've found my new Starbucks home. It's got just enough background noise, with just enough activity. And, the barristas not only brew and serve coffee, but they seem to be interested in getting to know their customers. That's what I appreciated about my Starbucks. They knew all their regulars by name and drink. That's pretty cool. Looking forward to spending my mornings with a good cup of coffee, my bible, and my journal with God.